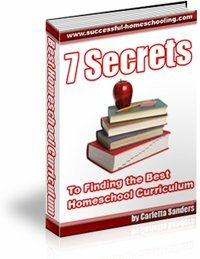 Are you looking for a secular homeschool curriculum? Many non-Christians and nonreligious homeschoolers have been frustrated in their search for high-quality, secular homeschooling resources - especially in the areas of science and history. In addition, some Christians want to use nonreligious materials because they want to teach religion separately from academics, because their beliefs fall outside of mainstream Christianity, or because they believe Christian programs are overly biased. Homeschoolers in search of secular programs can either choose to adapt a Christian curriculum to meet their needs or use a nonreligious program. 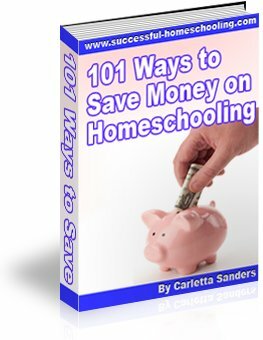 Here's a discussion of those options, along with a list of secular homeschool curriculum providers. Christian homeschool programs are generally structured in one of two ways that affect how easily they can be adapted to meet the needs of secular homeschoolers. A Bible-centered curriculum has scripture, Bible characters or Biblical principles as a central focus. For example, in a Bible-centered history curriculum, history is presented from a Christian perspective and Bible history is woven into the curriculum. In a Bible-centered science program, science is presented with the underlying view of God as creator. Bible-centered programs can be difficult to adapt to the needs of secular homeschoolers because removing the Christian perspective alters the foundation of the program. A Christian curriculum that has a Bible component can be more easily adapted for use by nonreligious homeschoolers. These programs may have a separate Bible section that you can choose not to use or purchase, as well as the occasional scripture reference that can be explained or skipped. Removing the Bible component does not dramatically alter the foundation of this type of program. Some homeschoolers have found that secular materials from larger publishers are geared toward traditional public school classrooms. However, publishers are now creating religiously neutral materials specifically for the homeschool market. Hakim's A History of the U.S. Here are some homeschool curriculum reviews for other subjects. For information about nonreligious support groups and activities, read my tips for finding secular homeschooling support.